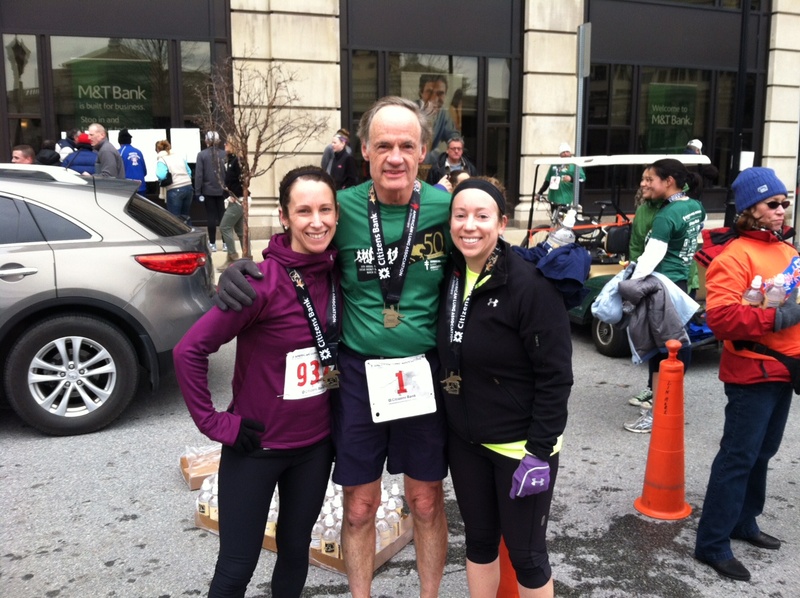 Courtney has been busy but is back and recapping her most recent 1/2 marathon! Check it out! So I might be a little late with this one – but better late than never, right?! And then I cross the finish line huffing and puffing, out of breath – but happy that for another year I took on this monster of a race and finished! Typically, 1,700 runners participate. 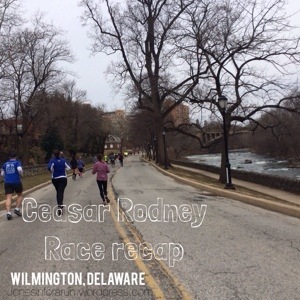 If you are a Delaware runner you will see plenty of familiar faces. Not too big of a race, but not too small – to me, the prefect size. 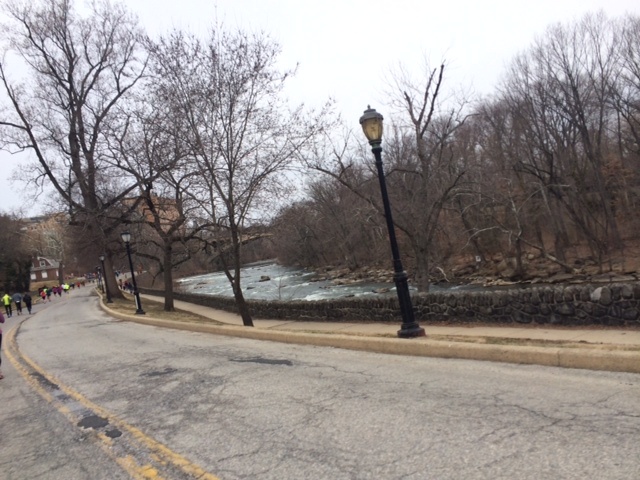 The race route is very similar to the Icicle Ten Miler and (to me) slightly more challenging then the Delaware Half (May 2014). Plenty of parking around the start line. Also, the YMCA graciously allows runners to use their facilities pre and post-race. 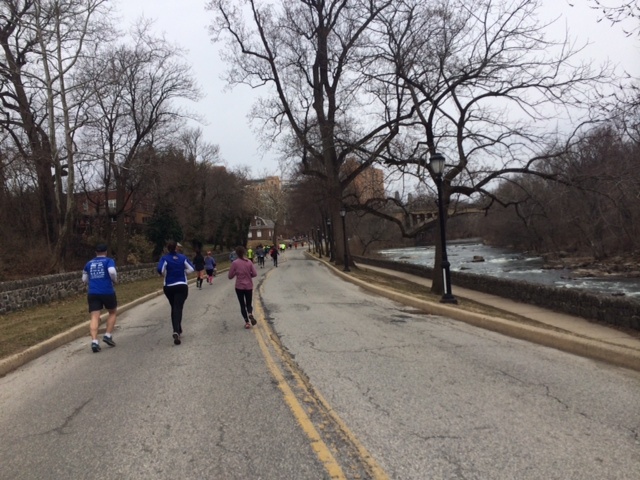 Since this race is around St. Patty’s day weekend, your pit crew and race support crew can always check out Washington Street Ale House, just a short walk from the start and finish line. Jimmy is a huge fan of the mint chocolate chip pancakes. 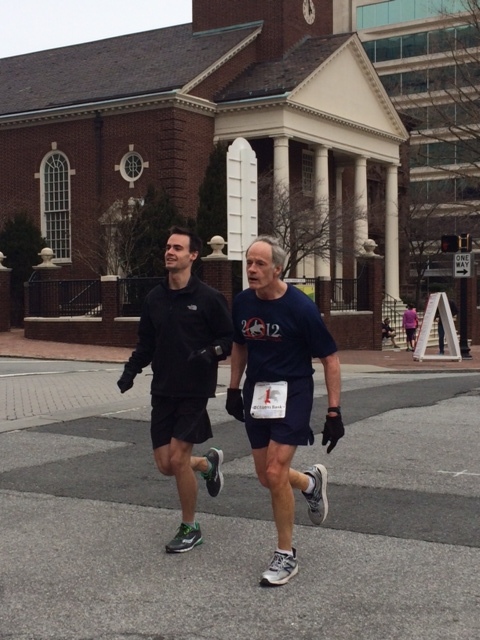 Plus – Delaware’s own Senator Carper always runs this race! After he finishes, he will stand at the finish line and hand out medals. While I was not able to get a picture with him this year – here is a picture from the year before with me and my running partner. I finished in 2 hours 1 minute, with an average pace of 9:17. Over the past 3 years, I have consistently improved my time by one minute each year. Let’s hope next year I can get under that 2 hour mark! I better start the hill training early. So, what did you think? Was this recap helpful? What do you look for in race reviews? Previous Post Liebster Award x 2! 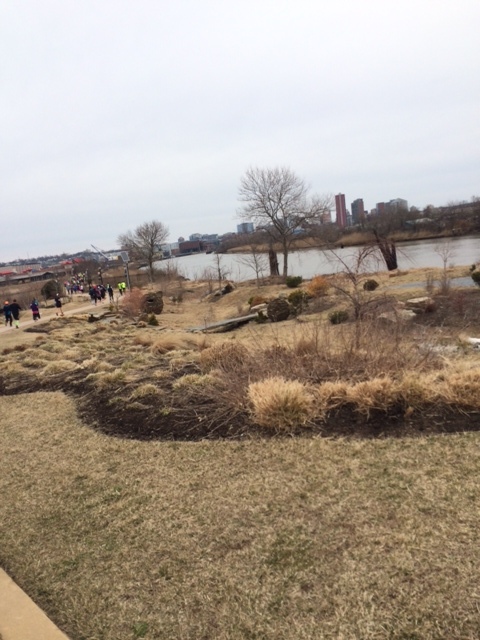 Next Post Seashore Classic Half Marathon Race Recap!